History will be made later this month when Nasa carries out the first ever all-female spacewalk on March 29. A spacewalk looks like something from your favourite sci-fi film, and for the first time ever one will take place with a team solely made up of female astronauts. Nasa astronauts Anne McClain and Christina Koch will follow in the footsteps of Soviet cosmonaut Svetlana Savitskaya, the first woman to walk in space almost 35 years ago. The spacewalk is taking place during Women's History Month, but a Nasa spokesperson said it had "not been orchestrated to be this way". 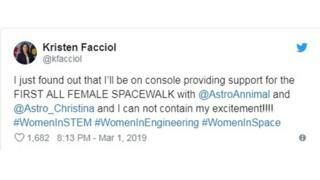 They will be supported by Canadian Space Agency flight controller Kristen Facciol, who will be serving as console at Nasa's Johnson Space Center in Houston. 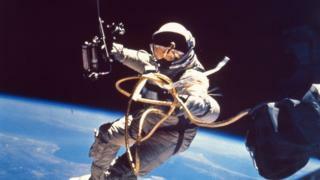 The spacewalk could last anywhere between five to eight hours, wow! What was it like working on the International Space Station?